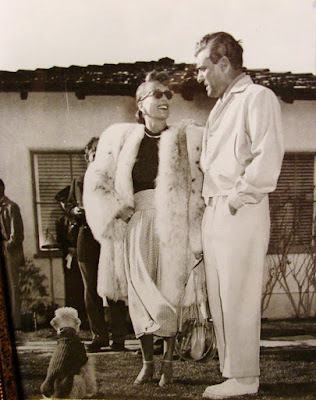 Quite stylistic here, fur coat, dog coat and Joan with friend. But who's the friend? 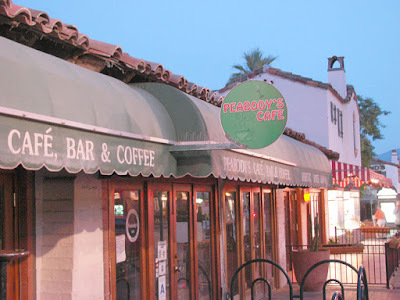 The place: Palm Springs of course! This old sign for sale downtown still hasn't sold yet. 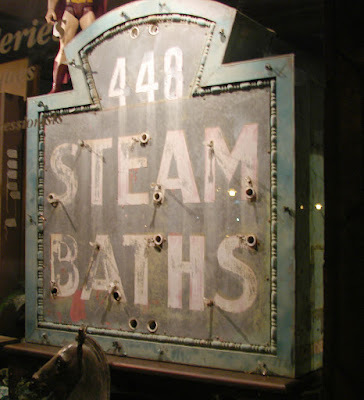 What's with that, doesn't anybody in the sizzling desert want a steam bath sign in summer? I mean it's, like, only 112 here! Here's the soccer park across the street from my house taken with a star filter (called a crosshair filter or cross screen filter). 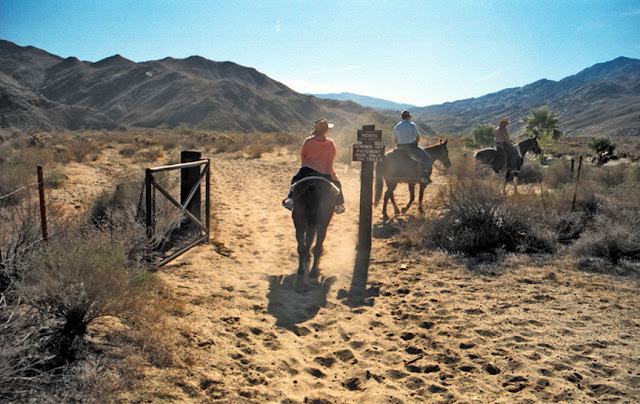 One nice thing about Palm Springs is that you can go horseback riding in the city limits. Horseback riding's great fun. At $50; it's pricy but well worth it to feel like John Wayne (if you're older) or a character in the new Quintin Tarantino movie (if you're younger) among a stunning desert setting. The horses can be rented from the Smoke Tree Stables. I've taken the ride years ago as a reporter for the Desert Sun's One Tank Trip column, a newspaper feature that has been defunct for years. The ride offers some great photo ops, which you can shoot right from on top of the horse while you are riding as this shot was. At the time I didn't even use digital. 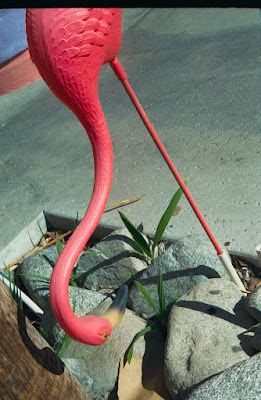 That's why you see a bit of that lovely film grain, not to mention such saturated colors. This is one of the houses I photographed in the area, a "new" modern home so-to-speak, loosely based on the modern homes of the 50s. Hey Daily Photo Bloggers, who is this woman? I thought maybe Kate Hepburn. 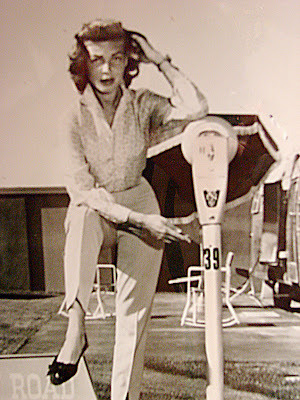 At any rate, whoever it is, she was photographed in Palm Springs decades ago, probably the 1940s. When you think of mariachi men in silver studded charro outfits with wide-brimmed hats playing violins, trumpets, and guitars might come to mind. 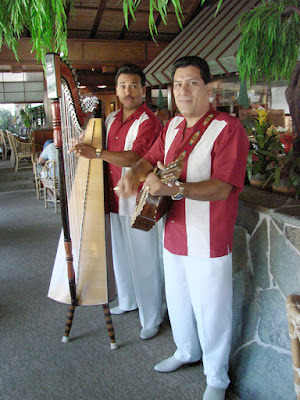 Guess these two guys aren't a mariachi band, but the harp sure is cool. For sale at our hardware store. Here's the Village People. 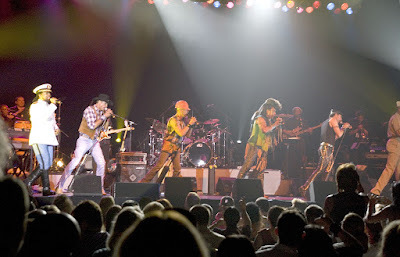 I went to the Solid Gold concert at Fantasy Springs casino last night. There were a great many photo-ops from drag queens to disco divas (oh yes, and I snapped a great image of the giant disco ball that dropped down from the ceiling above the stage). concert was no exception. Matter of fact, I wrote article about the show to preview it in the newspaper. 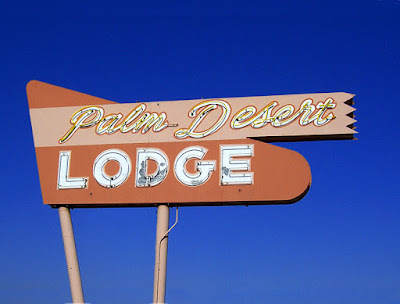 This sign is only one of a few left in the area. 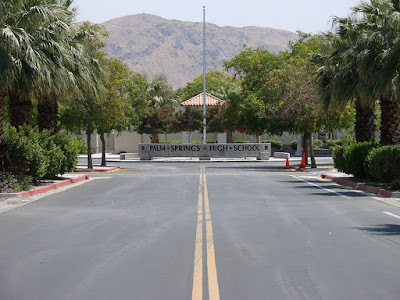 Palm Desert is about 10 miles from here. Okay, then, so I'm an artist. This is what I do. Strange isn't it? I take pictures of neon signs then saturate the colors in Photoshop. Then I make very detailed prints of them and sell at stores in Southern California. I have about 5000 images of signs from all around the world. If you want you can email me at matthewbam@aol.com to buy one. They come framed (in silver metal frames, acid free mats, also). 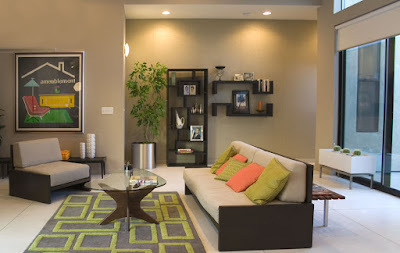 The picture (printed out at 10.75" X 14.75"), with frame, is a little less than 16" X 20" inches. The price of print and frame is $195, including shipping anywhere in the U.S. 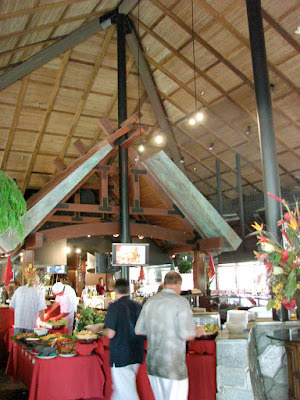 Cool high ceilings and lots of food--too much food. They can be pretty, can't they. 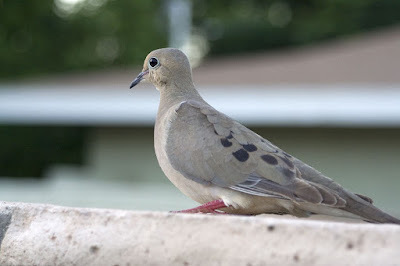 This one was in my backyard. 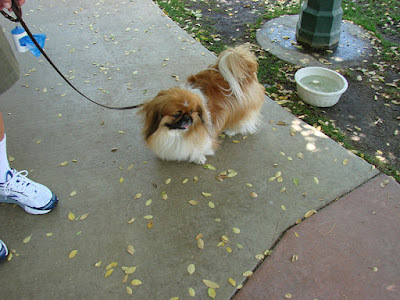 Another Palm Springs dog. Pretty, isn't she? 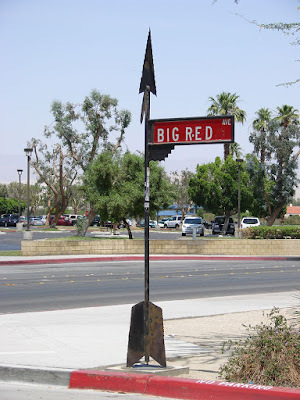 Palm Springs has only one high school, and Big Red Av. takes you there. 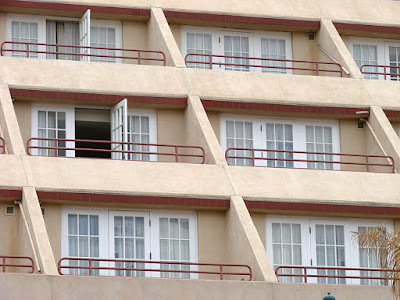 That's right here's some balconies that overlook Palm Springs' main drag, Palm Canyon Drive. The hotel is the Hyatt Regency and it's probably the best located hotel (in terms of being close to all the club action) in the city. My guess is that this building was constructed in the 80s as I can imagine Cindy Lauper (or even a young Madonna) hanging from the balcony in this picture. This is one of many oasises in our area. Let me know if oasises is the plural of oasis. 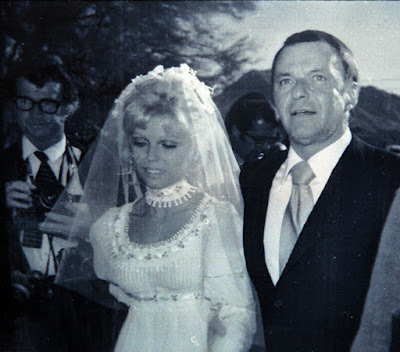 Frank Sinatra married Barbara Marx in Palm Springs in 1976. This is a photo of a photo, one of many of the Sinatra family hanging in places around town. 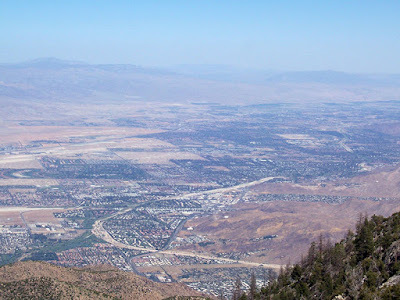 This is an aerial view of the Coachella Valley looking southeast from near the top of Mount San Jacinto. 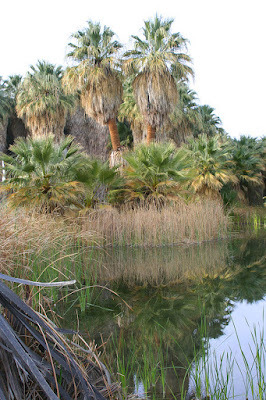 Palm Springs is located in the part of the valley that's on the bottom left of your screen. Anyone who pays around $30 can see the valley from this perspective by riding on the Palm Springs Aerial Tramway, or the "tram." Is here. Feta-bacon-spinach omelette is to die for. This is my 100th (hundredth, number 100, a hundred, 50+50) post.